201. It is perceptible that the constitutional amendment conceives of conferring special status on Delhi. This has to be kept in view while interpreting Article 239AA. Both the Statement of Objects and Reasons and the Balakrishnan Committee Report, the relevant extracts of which we have already reproduced in the earlier part of this judgment, serve as an enacting history and corpus of public knowledge relative to the introduction of Articles 239AA and 239AB and would be handy external aids for construing Article 239AA and unearthing the real intention of the Parliament while exercising its constituent power. 202. At the outset, we must declare that the insertion of Articles 239AA and 239AB which specifically pertain to NCT of Delhi is reflective of the intention of the Parliament to accord Delhi a sui generis status from the other Union Territories as well as from the Union Territory of Puducherry to which Article 239A is singularly applicable as on date. The same has been authoritatively held by the majority judgment in the New Delhi Municipal Corporation case to the effect that the NCT of Delhi is a class by itself. 203. The Legislative Assembly, Council of Ministers and the Westminster style cabinet system of government brought by the Sixtyninth amendment highlight the uniqueness attributed to Delhi with the aim that the residents of Delhi have a larger say in how Delhi is to be governed. The real purpose behind the Constitution (Sixtyninth Amendment) Act, 1991, as we perceive, is to establish a democratic setup and representative form of government wherein the majority has a right to embody their opinion in laws and policies pertaining to the NCT of Delhi subject to the limitations imposed by the Constitution. For paving the way to realize this real purpose, it is necessary that we give a purposive interpretation to Article 239AA so that the principles of democracy and federalism which are part of the basic structure of our Constitution are reinforced in NCT of Delhi in their truest sense. 204. The exercise of establishing a democratic and representative form of government for NCT of Delhi by insertion of Articles 239AA and 239AB would turn futile if the Government of Delhi that enjoys the confidence of the people of Delhi is not able to usher in policies and laws over which the Delhi Legislative Assembly has power to legislate for the NCT of Delhi. 205. Further, the Statement of Objects and Reasons for the Constitution (Seventyfourth Amendment) Bill, 1991 which was enacted as the Constitution (Sixtyninth Amendment) Act, 1991 also lends support to our view as it clearly stipulates that in order to confer a special status upon the National Capital, arrangements should be incorporated in the Constitution itself. 206. We may presently carefully peruse each clause of Article 239AA for construing the meaning. A cursory reading of clause (1) of Article 239AA shows that on 1st February, 1992, the Union Territory of Delhi was renamed as the National Capital Territory of Delhi and it was to be administered by a Lieutenant Governor from the date of coming into force of the Sixtyninth Amendment Act. 207. Subclause (a) of clause (2) specifies that the National Capital Territory of Delhi shall have a Legislative Assembly, the seats of which shall be filled by members chosen by direct election from territorial constituencies in the National Capital Territory of Delhi. Subclause (b) of clause (2) stipulates that the total number of seats in the Legislative Assembly of the National Capital Territory of Delhi so established under sub171 clause (a), the number of seats reserved for Scheduled Castes in the said Legislative Assembly, the division of the National Capital Territory of Delhi into territorial constituencies (including the basis for such division) and all other matters relating to the functioning of the said Legislative Assembly shall be regulated by law made by Parliament. Thereafter, subclause (c) of clause (2) simply provides that the provisions of Articles 324 to 327 and 329 which pertain to elections and fall under Part XV of the Constitution shall also apply to the National Capital Territory of Delhi, its Legislative Assembly and the members thereof in the same manner as the said provisions apply to the States. Further, subclause (c) provides that the phrase "appropriate legislature" in Articles 326 and 329 shall, in the context of the National Capital Territory of Delhi, mean the Parliament. 208. We must note here the stark difference in the language of Article 239A clause (1) and that of Article 239AA clause (2). Article 239A clause (1) uses the word 'may' which makes it a mere directory provision with no obligatory force. Article 239A gives discretion to the Parliament to create by law for the Union Territory of Puducherry a Council of Ministers and/or a body which may either be wholly elected or partly elected and partly nominated to perform the functions of a Legislature for the Union Territory of Puducherry. 209. On the other hand, Article 239AA clause (2), by using the word 'shall', makes it mandatory for the Parliament to create by law a Legislative Assembly for the National Capital Territory of Delhi. Further, subclause (a) of clause (2) declares very categorically that the members of the Legislative Assembly of the National Capital Territory of Delhi shall be chosen by direct election from the territorial constituencies in the National Capital Territory of Delhi. Unlike Article 239A clause (1) wherein the body created by the Parliament by law to perform the functions of a Legislature for the Union Territory of Puducherry may either be wholly elected or partly elected and partly nominated, there is no such provision in the context of the Legislative Assembly of the NCT of Delhi as per which members can be nominated to the Legislative Assembly. This was a deliberate design by the Parliament. 210. We have highlighted this difference to underscore and emphasize the intention of the Parliament, while inserting Article 239AA in the exercise of its constituent power, to treat the Legislative Assembly of the National Capital Territory of Delhi as a set of elected representatives of the voters of the NCT of Delhi and to treat the government of the NCT of Delhi as a representative form of government. 211. The Legislative Assembly is wholly comprised of elected representatives who are chosen by direct elections and are sent to Delhi's Legislative Assembly by the voters of Delhi. None of the members of Delhi's Legislative Assembly are nominated. The elected representatives and the Council of Ministers of Delhi, being accountable to the voters of Delhi, must have the appropriate powers so as to perform their functions effectively and efficiently. This is also discernible from the Balakrishnan Committee Report which recommended that though Delhi should continue to be a Union Territory, yet it should be provided with a Legislative Assembly and a Council of Ministers responsible to such Assembly with appropriate powers to deal with matters of concern to the common man. 212. Subclause (a) of clause (3) of Article 239AA establishes the power of the Delhi Legislative Assembly to enact laws for the NCT of Delhi with respect to matters enumerated in the State List and/or Concurrent list except in so far as matters with respect to and which relate to entries 1, 2 and 18 of the State List. 213. Subclause (b) of clause (3) lays down that the Parliament has the powers to make laws with respect to any matter for a Union Territory including the NCT of Delhi or any part thereof and subclause (a) shall not derogate such powers of the Parliament. Subclause (c) of clause (3) gives the Parliament the overriding power to the effect that where any provision of any law made by the Legislative Assembly of Delhi is repugnant to any provision of law made by the Parliament, then the law made by the Parliament shall prevail and the law made by the Delhi Legislative Assembly shall be void to the extent of repugnancy. 214. Thus, it is evident from clause (3) of Article 239AA that the Parliament has the power to make laws for the NCT of Delhi on any of the matters enumerated in the State List and the Concurrent List and at the same time, the Legislative Assembly of Delhi also has the legislative power with respect to matters enumerated in the State List and the Concurrent List except matters with respect to entries which have been explicitly excluded from Article 239AA(3)(a). 215. Now, it is essential to analyse clause (4) of Article 239AA, the most important provision for determination of the controversy at hand. Clause (4) stipulates a Westminster style cabinet system of government for the NCT of Delhi where there shall be a Council of Ministers with the Chief Minister at the head to aid and advise the Lieutenant Governor in the exercise of his functions in relation to maters with respect to which the Delhi Legislative Assembly has power to enact laws except in matters in respect of which the Lieutenant Governor is required to act in his discretion. 216. The proviso to clause (4) stipulates that in case of a difference of opinion on any matter between the Lieutenant Governor and his Ministers, the Lieutenant Governor shall refer it to the President for a binding decision. Further, pending such decision by the President, in any case where the matter, in the opinion of the Lieutenant Governor, is so urgent that it is necessary for him to take immediate action, the proviso makes him competent to take such action and issue such directions as he deems necessary. 217. A conjoint reading of Article 239AA (3) (a) and Article 239AA(4) reveals that the executive power of the Government of NCT of Delhi is coextensive with the legislative power of the Delhi Legislative Assembly which is envisaged in Article 239AA(3) and which extends over all but three subjects in the State List and all subjects in the Concurrent List and, thus, Article 239AA(4) confers executive power on the Council of Ministers over all those subjects for which the Delhi Legislative Assembly has legislative power. 218. Article 239AA(3)(a) reserves the Parliament's legislative power on all matters in the State list and Concurrent list, but clause (4) nowhere reserves the executive powers of the Union with respect to such matters. On the contrary, clause (4) explicitly grants to the Government of Delhi executive powers in relation to matters for which the Legislative Assembly has power to legislate. The legislative power is conferred upon the Assembly to enact whereas the policy of the legislation has to be given effect to by the executive for which the Government of Delhi has to have coextensive executive powers. Such a view is in consonance with the observation in the case of Ram Jawaya Kapur (supra) which has been discussed elaborately in the earlier part of the judgment. 219. Article 239AA(4) confers executive powers on the Government of NCT of Delhi whereas the executive power of the Union stems from Article 73 and is coextensive with the Parliament's legislative power. Further, the ideas of pragmatic federalism and collaborative federalism will fall to the ground if we are to say that the Union has overriding executive powers even in respect of matters for which the Delhi Legislative Assembly has legislative powers. Thus, it can be very well said that the executive power of the Union in respect of NCT of Delhi is confined to the three matters in the State List for which the legislative power of the Delhi Legislative Assembly has been excluded under Article 239 AA (3) (a). Such an interpretation would thwart any attempt on the part of the Union Government to seize all control and allow the concepts of pragmatic federalism and federal balance to prevail by giving the NCT of Delhi some degree of required independence in its functioning subject to the limitations imposed by the Constitution. 220. Another important aspect is the interpretation of the phrase ‘aid and advise’ in Article 239AA(4). While so interpreting, the authorities in Shamsher Singh (supra) and Devji Ballabhbhai Tandel (supra) have to be kept in mind. 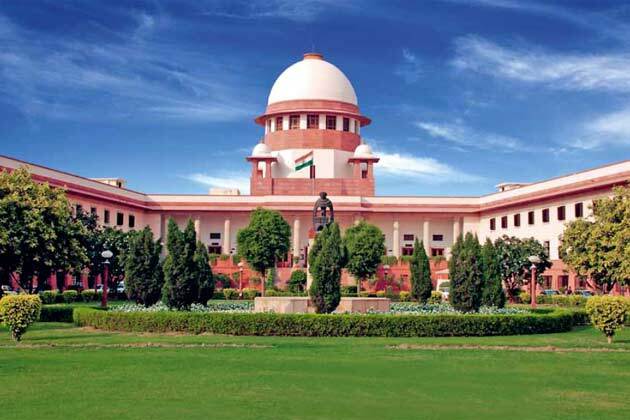 Krishna Iyer, J., in Shamsher Singh (supra), has categorically held that the President and the Governor, being custodians of all executive powers, shall act only upon and in accordance with the aid and advice of their Ministers save in a few well known exceptional situations. Devji Ballabhbhai Tandel (supra), on the other hand, has observed that there is a functional difference in the powers and the position enjoyed by the President and Governor on one hand and the Administrator on the other hand. It has also been observed that it is not possible to hold to the view laid down in Shamsher Singh (supra) in the context of Governor and President to mean that the Administrator is also purely a constitutional functionary who is bound to act on the ‘aid and advice’ of the Council of Ministers and cannot act on his own. 221. 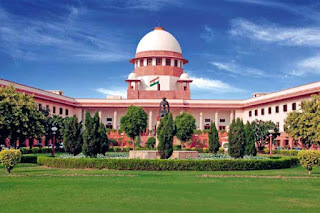 It is necessary to note with immediacy that Devji Ballabhbhai Tandel (supra) represents a pre―Sixtyninth Amendment view and that too in the context of a Union Territory which does not have a unique position as the NCT of Delhi does. Presently, the scheme of Article 239AA(4) is different. It requires the Lieutenant Governor to act as per the 'aid and advice' of the Council of Ministers with respect to all matters for which the Legislative Assembly of Delhi has the power to enact laws except what has been stated in the proviso which requires a thoughtful interpretation. 222. The language employed in the proviso has to be understood keeping in view the concepts which we have elaborately adumbrated hereinbefore. As noted earlier, the submission of the learned counsel for the appellant is that the Lieutenant Governor can only exercise the power or take refuge to the proviso to Article 239AA(4) where the said ‘aid and advice’ of the Council of Ministers transgresses the area constitutionally prescribed to them by virtue of Article 239AA(3)(a). 223. We may note here that a narrow or restricted meaning in respect of the words, namely, “on any matter” as is suggested by the appellant, takes away the basic concept of interpretative process, for the said expression does not remotely convey that it is confined to the excepted legislative fields. Similarly, a broad or unrestricted interpretation of the term to include every difference would obstruct the idealistic smooth stream of governance. Therefore, the Court has the duty to place such a meaning or interpretation on the phrase that is workable and the need is to establish the norm of fine constitutional balance. "The question before us is whether the statutory reference "convicted in any court" includes a conviction entered in a foreign court. The word "any" considered alone cannot answer this question. In ordinary life, a speaker who says, "I'll see any film," may or may not mean to include films shown in another city. In law a legislature that uses the statutory phrase "'any person'" may or may not mean to include "'persons'" outside "the jurisdiction of the state." Word "any" has a diversity of meaning and may be employed to indicate "all" or "every" as well as "some" or "one" and its meaning in a given statute depends upon the context and the subject matter of the statute." It is often synonymous with "either", "every" or "all". Its generality may be restricted by context; (Black's Law Dictionary; Fifth Edition)." "...the words "any direction" would cost it its constitutionality' does not commend to us. But we approve the conclusion that these words require to be construed harmoniously with the other provisions and appropriately confined to the objects and purposes of the Tenth Schedule. Those objects and purposes define and limit the contours of its meaning. The assignment of a limited meaning is not to read it down to promote its constitutionality but because such a construction is a harmonious construction in the context. There is no justification to give the words the wider meaning." "The words 'any requirement' cannot be read to warrant something which could have been said more specifically. These words bear upon the kind of residence or its duration rather than its location within the State. We accept the argument of Mr. Gupte that the Constitution, as it stands, speaks of a whole State as the venue for residential qualification and it is impossible to think that the Constituent Assembly was thinking of residence in Districts, Taluqas, cities, towns or villages. The fact that this clause is an exception and came as an amendment must dictate that a narrow construction upon the exception should be placed as indeed the debates in the Constituent Assembly also seem to indicate. We accordingly reject the contention of Mr. Setalvad seeking to put a very wide and liberal construction upon the words 'any law' and any requirement'. These words are obviously controlled by the words 'residence within the State or Union territory' which words mean what they say, neither more nor less. It follows, therefore, that Section 3 of the Public Employment (Requirement as to Residence) Act, 1957, in so far as it relates to Telengana (and we say nothing about the other parts) and Rule 3 of the Rules under it are ultra vires the Constitution." "I cannot myself avoid coming to the conclusion that 'any lawful purpose' in subs (7) means any lawful purpose which is consistent with the rules. It cannot mean anything inconsistent with the rules...can it mean 'any lawful purpose' under the sun', or is it 'any lawful purpose of the society? If you look at the context, that which precedes and that which follows, I do not think 'anybody, certainly (I do not think any lawyer would construe any lawful purpose, in the wide way in which Mr Cohen invites us to construe it." "A little careful consideration will show, however, that the expression "any person" occurring in the third part of the definition clause cannot mean anybody and everybody in this wide world. First of all. the subject matter of dispute must relate to (i) employment or nonemployment or (ii) terms of employment or conditions of labour of any person; these necessarily import a limitation in the sense that a person in respect of whom the employeremployee relation never existed or can never possibly exist cannot be the subject matter of a dispute between employers and workmen. Secondly, the definition clause must be read in the context of the subject matter and scheme of the Act, and consistently with the objects and other provisions of the Act." 232. From the foregoing discussion, it is clear that the words 'any matter' occurring in the proviso to Article 239AA(4) does not necessarily need to be construed to mean 'every matter'. As highlighted in the authorities referred to hereinabove, the word ‘any’ occurring in a statute or constitutional provision is not to be mechanically read to mean 'every' and the context in which the word has been used must be given due weightage so as to deduce the real intention and purpose in which the word has been used. 233. It has to be clearly understood that though ‘any’ may not mean ‘every’, yet how it should be understood is extremely significant. Let us elaborate. The power given to the Lieutenant Governor under the proviso to Article 239AA(4) contains the rule of exception and should not be treated as a general norm. The Lieutenant Governor is to act with constitutional objectivity keeping in view the high degree of constitutional trust reposed in him while exercising the special power ordained upon him unlike the Governor and the President who are bound by the aid and advice of their Ministers. The Lieutenant Governor need not, in a mechanical manner, refer every decision of his Ministers to the President. He has to be guided by the concept of constitutional morality. There has to be some valid grounds for the Lieutenant Governor to refer the decision of the Council of Ministers to the President in order to protect the interest of the NCT of Delhi and the principle of constitutionalism. As per the 1991 Act and Rules of Business, he has to be apprised of every decision taken by the Council of Ministers. He cannot change the decision. That apart, there is no provision for concurrence. He has the authority to differ. But it cannot be difference for the sake of difference. It cannot be mechanical or in a routine matter. The power has been conferred to guide, discuss and see that the administration runs for the welfare of the people and also NCT of Delhi that has been given a special status. Therefore, the word ‘any’ has to be understood treating as a guidance meant for the constitutional authority. He must bear in mind the constitutional objectivity, the needed advice and the realities. 234. The proviso to Article 239AA(4), we say without any fear of contradiction, cannot be interpreted in a strict sense of the mere words employed treating them as only letters without paying heed to the thought and the spirit which they intend to convey. They are not to be treated as bones and flesh without nerves and neurons that make the nerves functional. We feel, it is necessary in the context to read the words of the provision in the spirit of citizenry participation in the governance of a democratic polity that is republican in character. We may hasten to add that when we say so, it should not be construed that there is allowance of enormous entry of judicial creativity, for the construction one intends to place has its plinth and platform on the Preamble and precedents pertaining to constitutional interpretation and purposive interpretation keeping in view the conception of sense and spirit of the Constitution. It is, in a way, exposition of judicial sensibility to the functionalism of the Constitution. And we call it constitutional pragmatism. 235. The authorities in power should constantly remind themselves that they are constitutional functionaries and they have the responsibility to ensure that the fundamental purpose of administration is the welfare of the people in an ethical manner. There is requirement of discussion and deliberation. The fine nuances are to be dwelled upon with mutual respect. Neither of the authorities should feel that they have been lionized. They should feel that they are serving the constitutional norms, values and concepts. 236. Interpretation cannot ignore the conscience of the Constitution. That apart, when we take a broader view, we are also alive to the consequence of such an interpretation. If the expressions “in case of difference” and “on any matter” are construed to mean that the Lieutenant Governor can differ on any proposal, the expectation of the people which has its legitimacy in a democratic set up, although different from States as understood under the Constitution, will lose its purpose in simple semantics. The essence and purpose should not be lost in grammar like the philosophy of geometry cannot be allowed to lose its universal metaphysics in the methods of drawing. And that is why, we deliberated upon many a concept. Thus, the Administrator, as per the Rules of Business, has to be apprised of each decision taken by a Minister or Council of Ministers, but that does not mean that the Lieutenant Governor should raise an issue in every matter. The difference of opinion must meet the standards of constitutional trust and morality, the principle of collaborative federalism and constitutional balance, the concept of constitutional governance and objectivity and the nurtured and cultivated idea of respect for a representative government. The difference of opinion should never be based on the perception of “right to differ” and similarly the term “on any matter” should not be put on such a platform as to conceive that as one can differ, it should be a norm on each occasion. The difference must meet the concept of constitutional trust reposed in the authority and there has to be objective assessment of the decision that is sent for communication and further the rationale of difference of opinion should be demonstrable and it should contain sound reason. There should not be exposition of the phenomenon of an obstructionist but reflection of the philosophy of affirmative constructionism and a visionary. The constitutional amendment does not perceive a situation of constant friction and difference which gradually builds a structure of conflict. At the same time, the Council of Ministers being headed by the Chief Minister should be guided by values and prudence accepting the constitutional position that the NCT of Delhi is not a State.